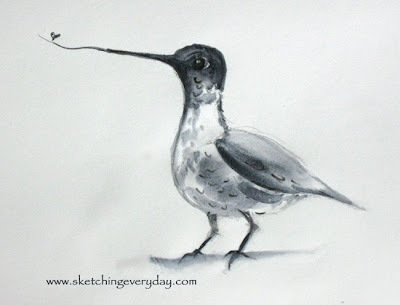 *Drawing Everyday*: Stick Your Neck Out! Ok, I didn't mean to put anyone on a guilt trip about submitting sketches. Please only do it if you want to, people! Do it for yourself, not for me. 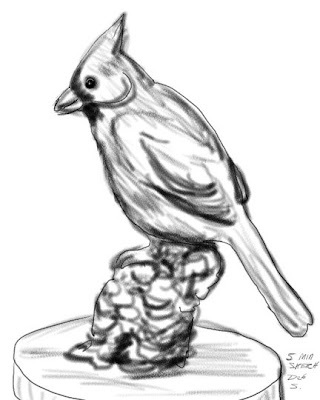 I got this email and sketch yesterday from Debbie Simpkins, "I felt terrible that I haven't taken the time to submit a sketch..... been so busy; but who isn't these days? Anyway, here is my 5-minute scribble ." Thanks Debbie. It's a great drawing for only 5 minutes!